2. Wear long sleeved clothes and full length bottoms. 3. Wear sunscreen. I have noticed my skin getting more tanned on Holi. 4. Oil your hair generously. It gives the hair a protective covering and shields it from harmful chemicals, dust and dirt.It will also help the colors come off easily later. 5. Cover your head with a bandana, scarf or a cap. 6. Tie up your hair. Tying up gives lesser area of your head to be exposed to colors giving an added advantage to have lesser stains to worry about. 8. Apply lip balm or vaseline on your lips. 9. Apply nail polish or multiple coats of clear topcoat on your nails to avoid getting your nails stained. 10. Never wear contact lenses while playing Holi. Never ever! The color can come between your eye and lens which can prove very harmful. 11. Apply some oil behind the ears, on earlobes and under the nails, as these are the ignored areas and the color tends to settle here. 12. Wear sunglasses to protect your eyes from a misfire of color filled darts or water jets. 14. Keep a calamine lotion ready in case of an allergy. 15. If possible, wear socks to keep your heels protected. 16. Stay away from bleaching or highlighting your hair before Holi. The colors can turn the hair a totally unwanted pink, green or purple. 17. Don’t sit in sunlight after playing Holi. The colors on exposure to sunlight may harm the skin even more. 18. Don’t get a facial done up to a week before Holi. Facials tend to make skin more sensitive setting you up for inflammation. 19. Always clean your face with a cleansing milk or lotion with a cotton wool after playing with colors. Never wash your face with harsh soaps. 20. And the most important, DO NOT drive if you are high on alcohol or bhang. Stay safe and enjoy. 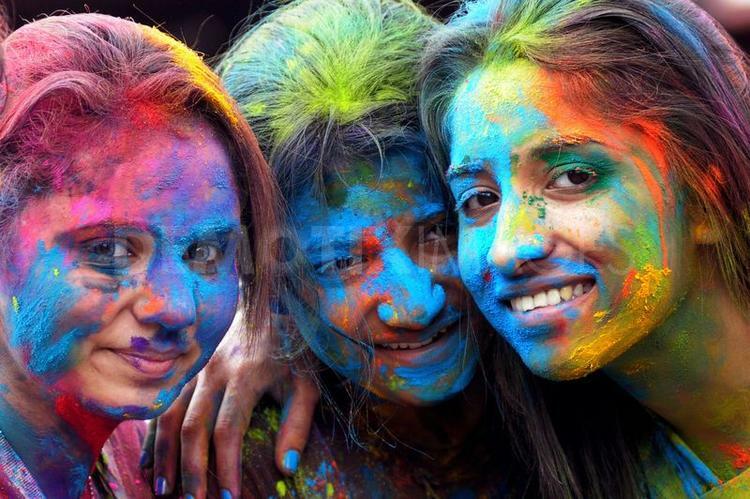 Have a Happy and Colorful Holi! 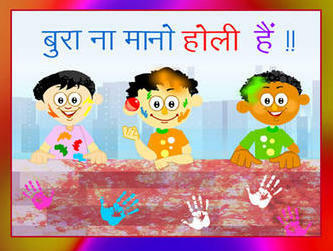 Holi is hereeeee!!!! I lurve this festival. The colorful hues everywhere, a merriment, celebrations in the air, delicious savories to gorge on… what is NOT to love?? Getting wet in buckets of water splashed on you, small children aiming water balloons at you (though I don’t appreciate it.. you hear that neighbourood children..? ), friends and relatives applying colors… The festival sure has some quirk. So while you go out and play holi this year (for which you MUST see THIS post in order to save your hair and skin) follow these tips to stay fashionable and trendy. 2. Oversized sunglasses will look uber cool whilst protecting your eyes from a misfire of water jets and the colors. Plus it will protect your eyes from harmful UV sun rays. 3. Keep your jewellery minimum. Keep it to one statement piece. I personally like big hoop jhumkis. They add a traditional touch to your overall outfit. 4. Color block. This trend has been in for a long time now. Wear a dark top with a light colored bottom, or a light top with dark bottom. 5. Color ’em paws. Paint your nails with a dark polish. Nail arts won’t be appreciated in a riot of colors, so keep it simple girls. But do choose a dark color to prevent your nails from staining with the holi colors. 15. Wear socks to keep your heels protected.